The eternal dilemma of the e-commerce retailer: shipping costs are the reason for 50% of abandoned carts, yet, profitability is at stake if you offer free shipping... We have the solution! 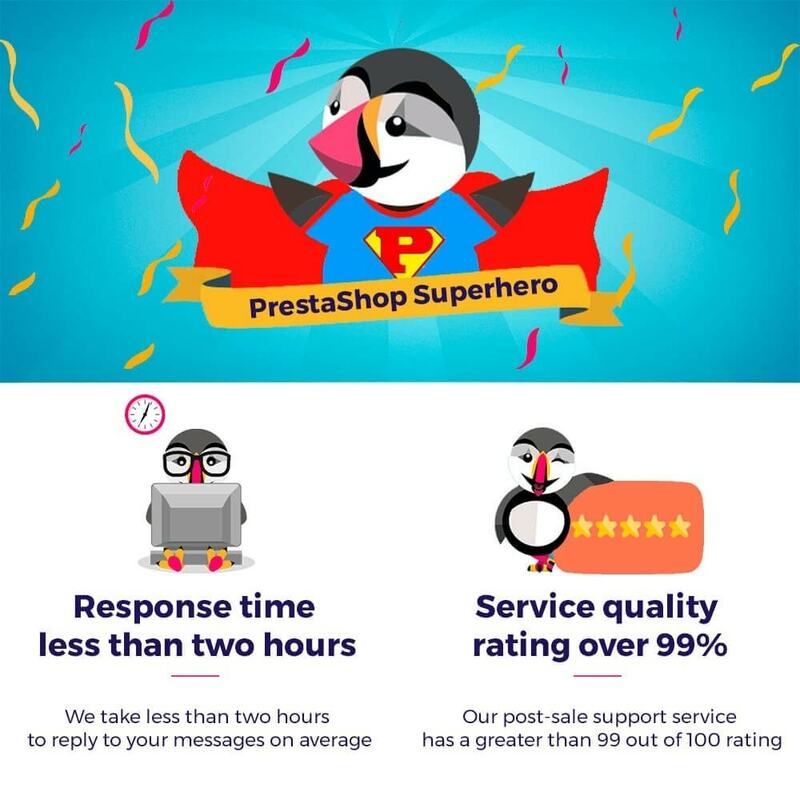 With the 'Shipping Premium Flat Rate' module, you can offer your customers a premium delivery subscription, like that offered by Amazon and other major e-commerce sites. 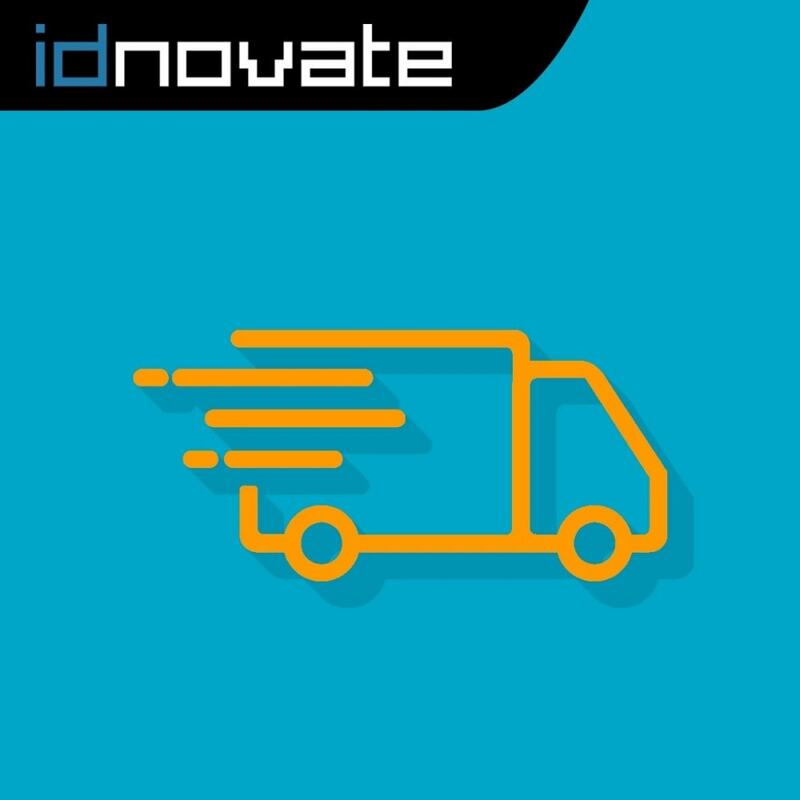 Your customers pay a delivery subscription can then take advantage of free shipping costs or very reasonable prices throughout the entire year of their subscription. In addition to bringing in additional revenue, you will create a long and sustainable relationship with your customers. Build a very strong and long customer loyalty and encourage them to continue buying in your store. Offer a possibility to purchase a shipping "Premium" flat rate like Amazon Premium. 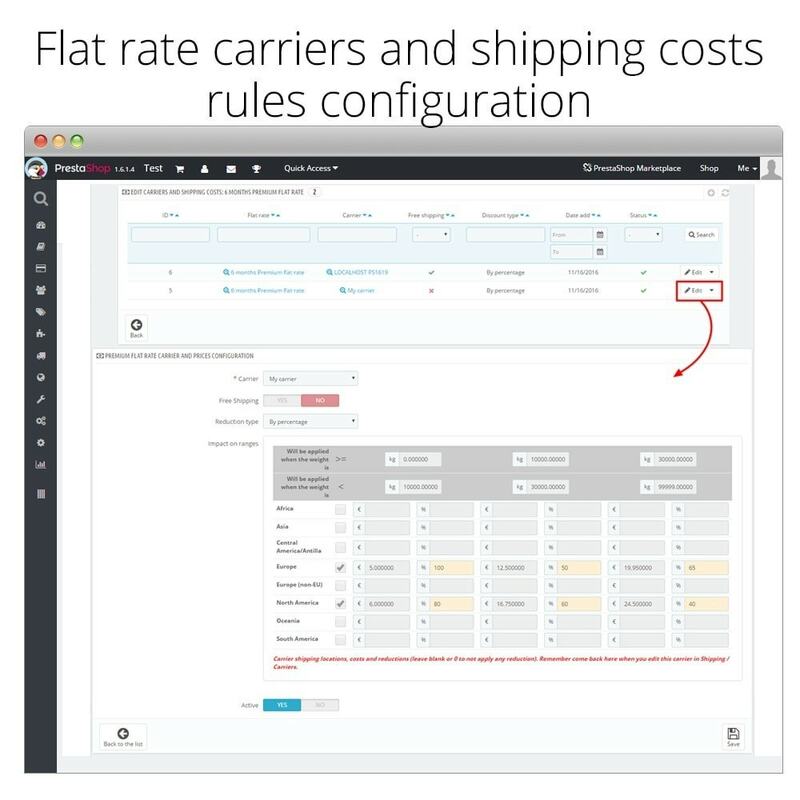 Configure the shipments under Premium flat rate according to your needs. 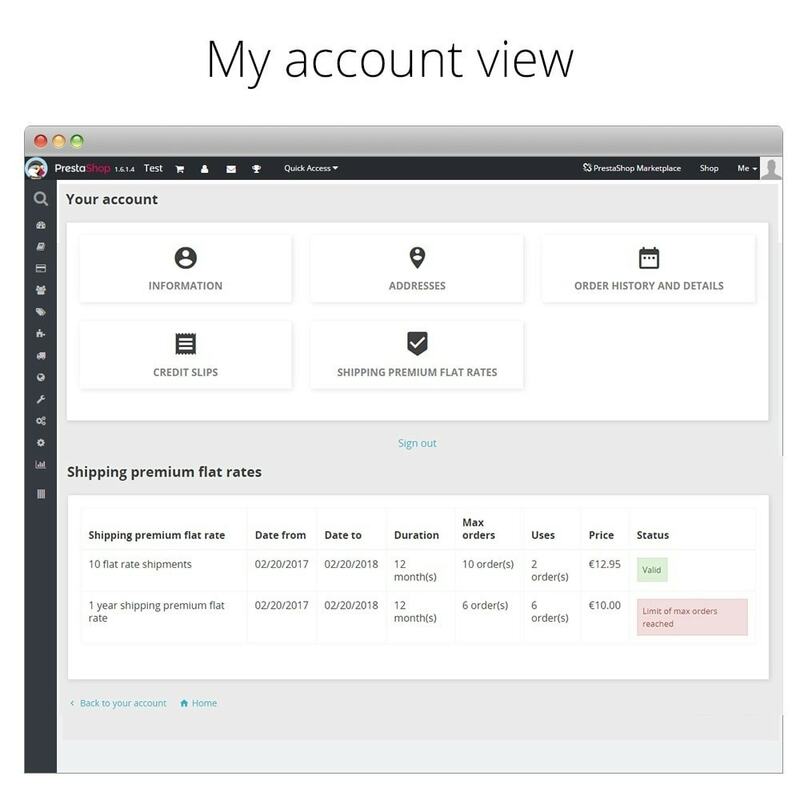 Define which shipping costs will you apply to the customers who has bought the Premium flat rate (free or at a lower amount than other customers). 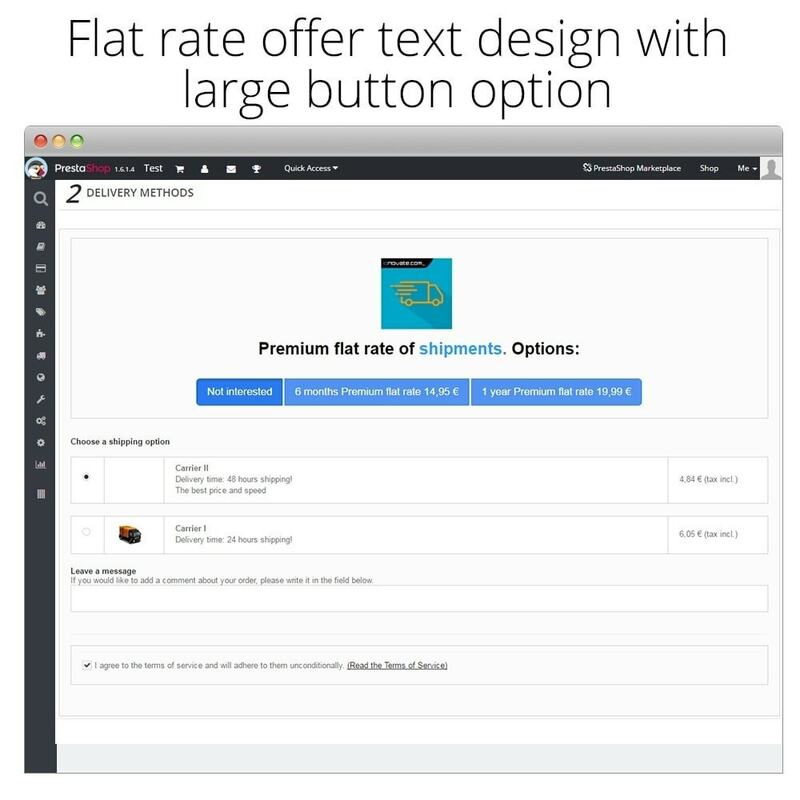 Example: Apply to customers with a valid Premium flat rate a 50% discount in shipping cost. Example: Apply free shipping for customers with a valid 1-year Premium flat rate. 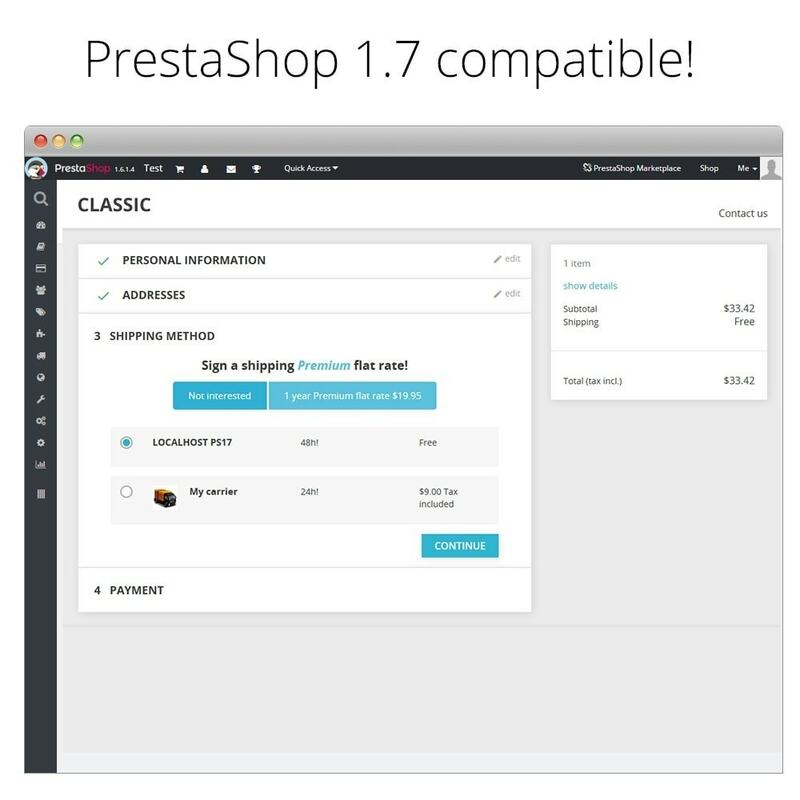 PrestaShop new 1.7 version compatible. 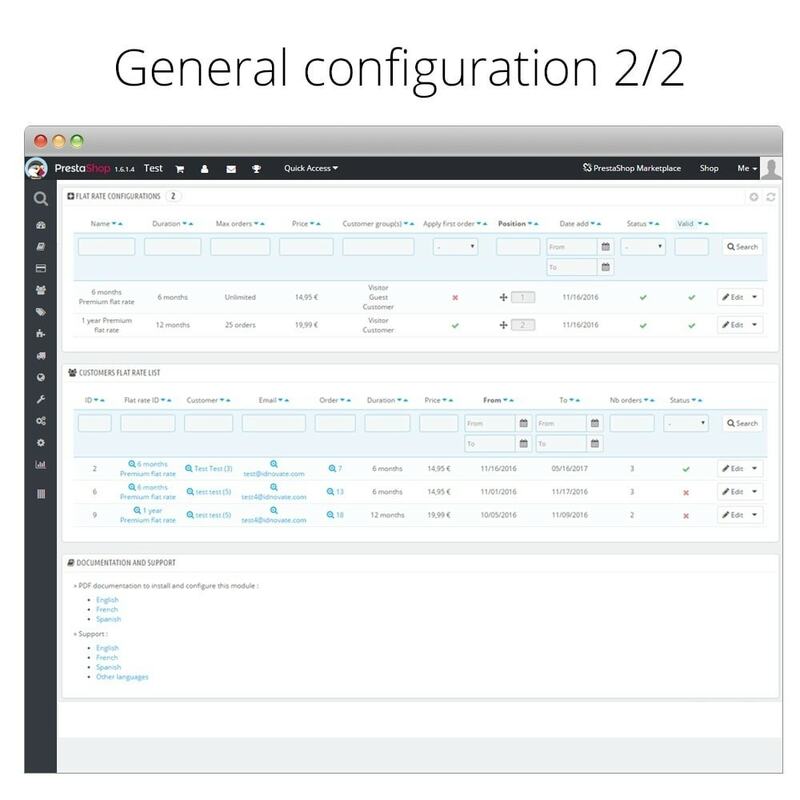 When you upgrade your store, this module will work! 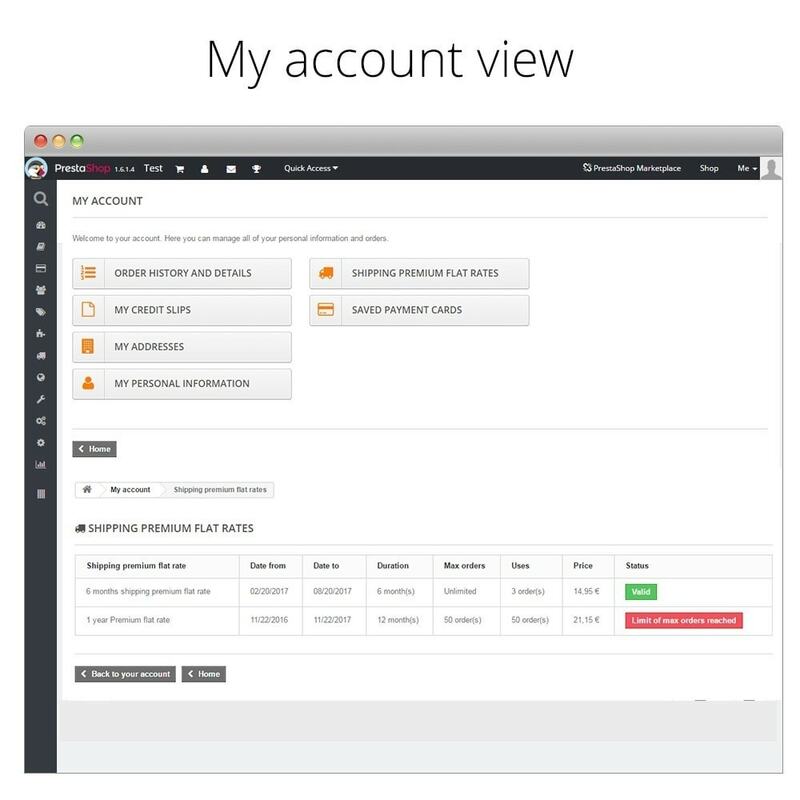 Configure an unlimited number of Premium flat rate configurations. Duration of the flat rate configurable (1 year, 6 months,...). 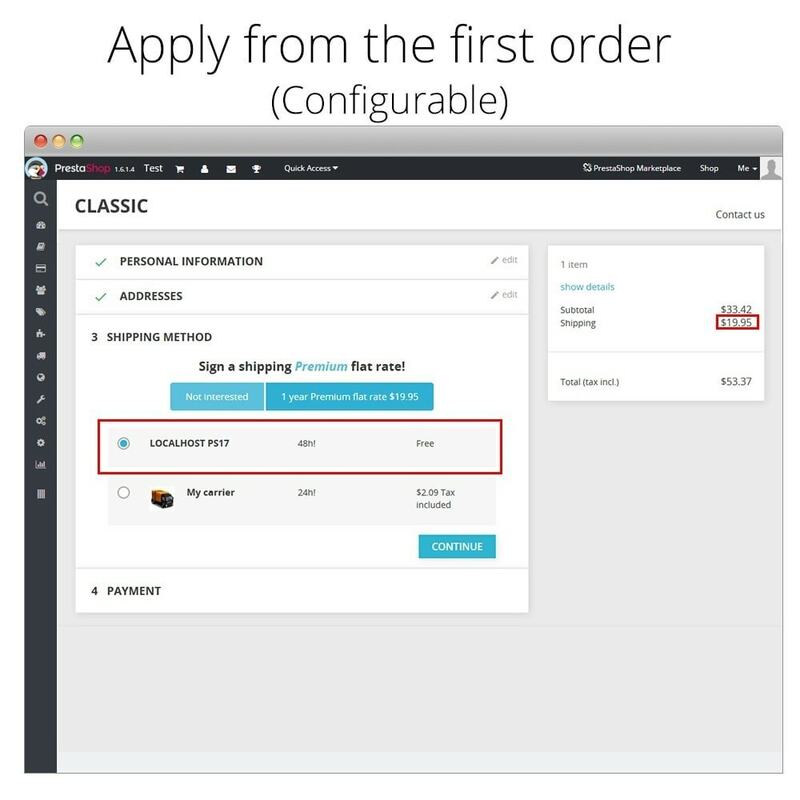 Max number of orders configurable. 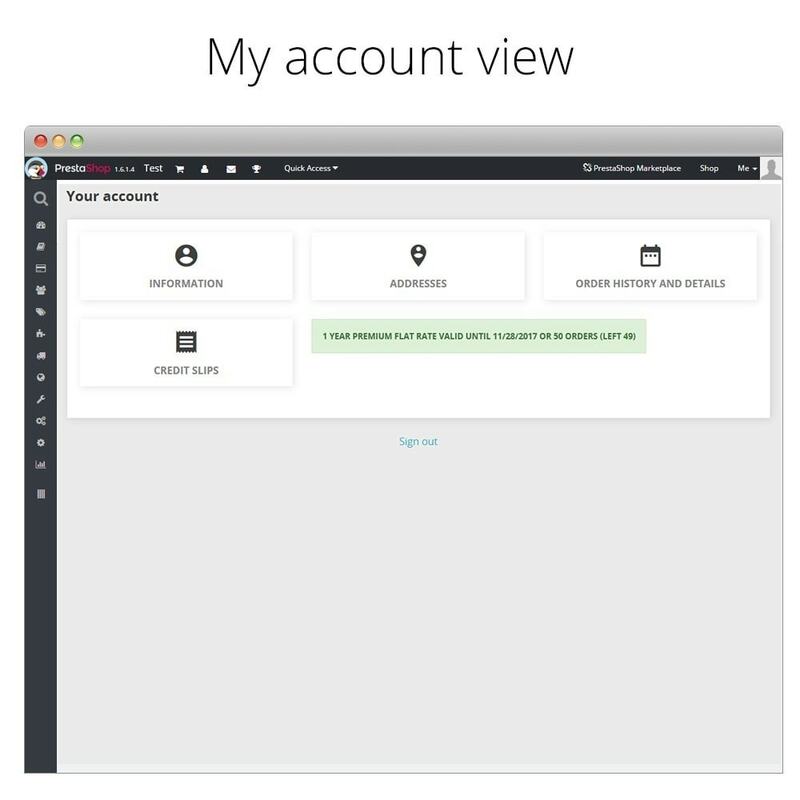 You can set a maximum number of orders using a Premium flat rate. 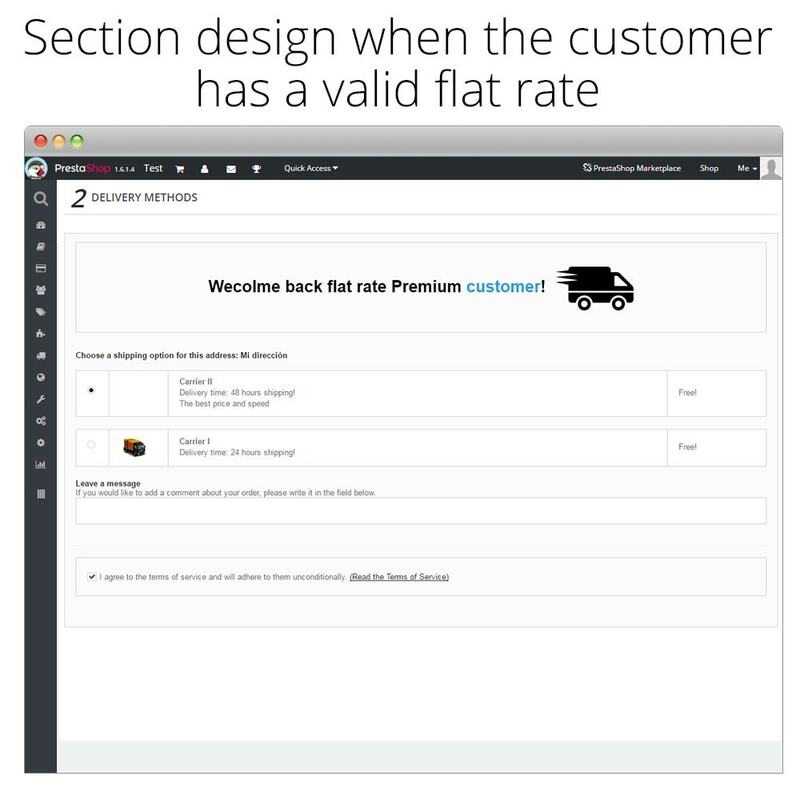 Example: if you define a Premium flat rate of 1 year and 20 orders max, customers can place up to 20 orders, or until the end of the period. Outside of this, normal rates will apply. 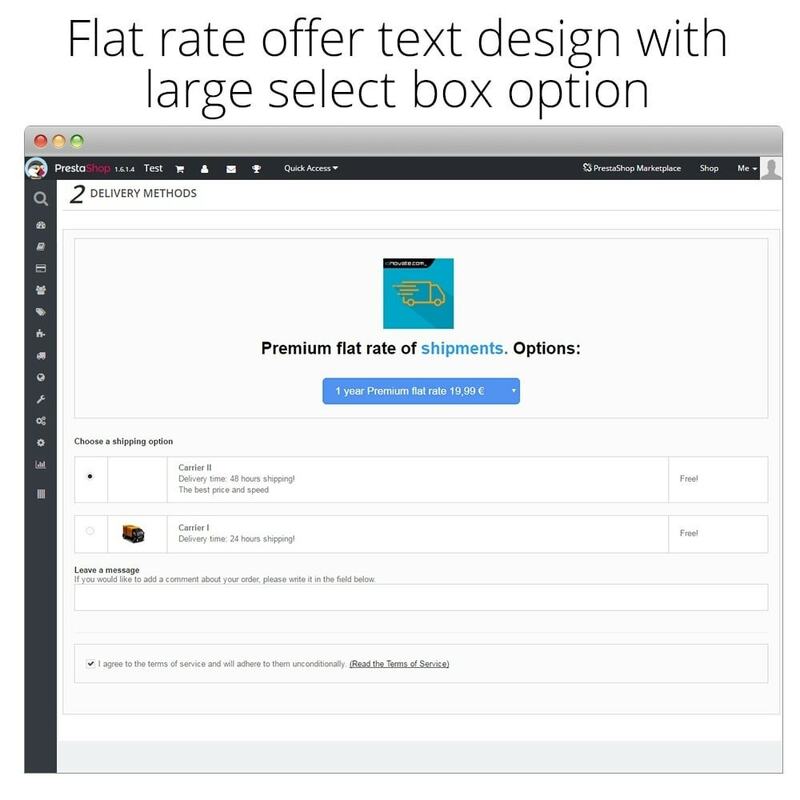 Shipping costs by each Premium flat rate configurable. Reduction type by percentage or by a fixed amount of the normal shipping cost applicable without Premium flat rate. 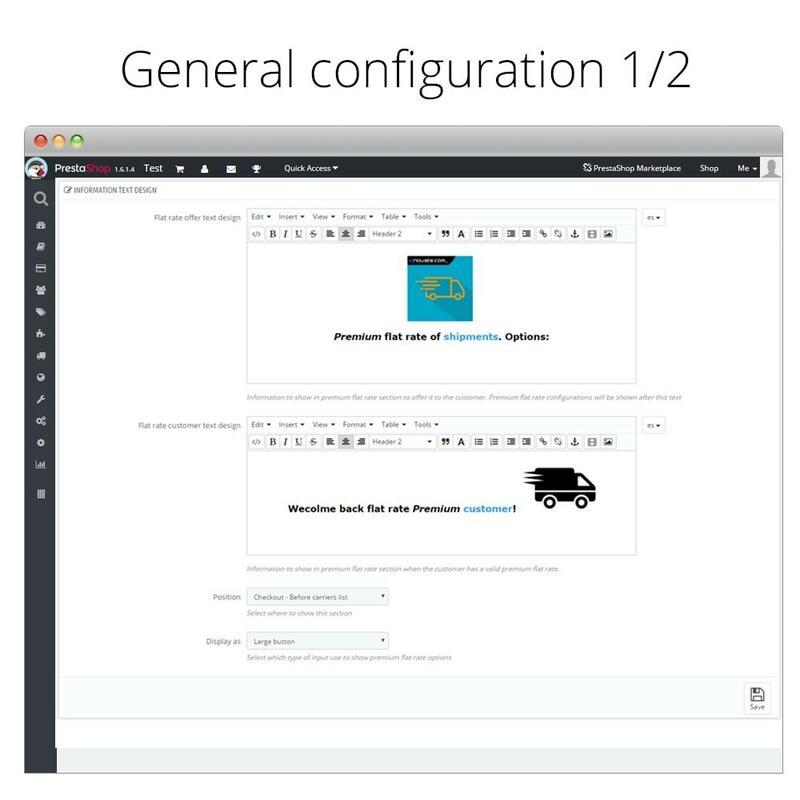 Configurable by zone, carrier and price/weight range. For a small initial fee, your customers can buy in your store with free shipping or at lower prices during a period of the Premium flat rate. Manual of installation and configuration included.